If your students have ever looked for P-values by shopping at P mart, tried to watch the Bernoulli Trails on “People’s Court,” or think that the standard deviation is a criminal offense in six states, then they need The Cartoon Guide to Statistics to put them on the road to statistical literacy. 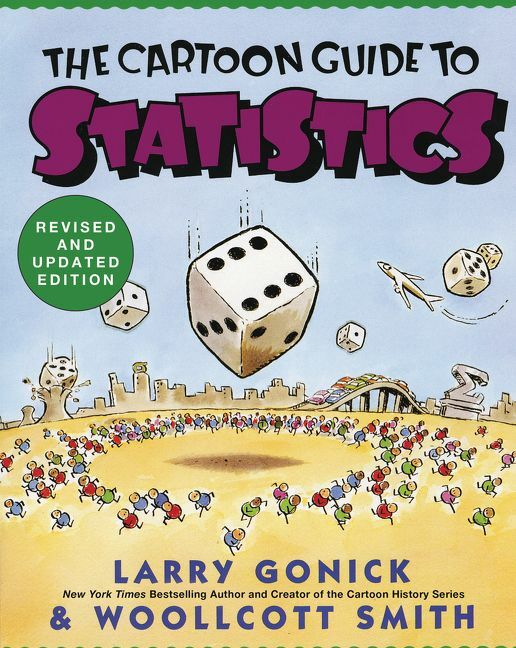 It covers all the central ideas of modern statistics: the summary and display of data, probability in gambling and medicine, random variables, Bernoulli Trails, the Central Limit Theorem, hypothesis testing, confidence interval estimation, and much more-all explained in simple, clear, and yes, funny illustrations. 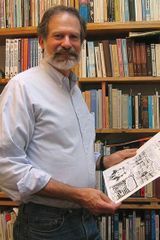 Larry Gonick has been creating comics that explain math, history, science, and other big subjects for more than forty years. He has been a calculus instructor at Harvard (where he earned his BA and MA in mathematics) and a Knight Science Journalism Fellow at MIT, and he is currently staff cartoonist for Muse magazine. He lives in San Francisco, California. Are you a Larry Gonick,Woollcott Smith fan?  Sign up now for Larry Gonick,Woollcott Smith alerts, including news and special offers. Thank you for signing up to receive news about Larry Gonick,Woollcott Smith.